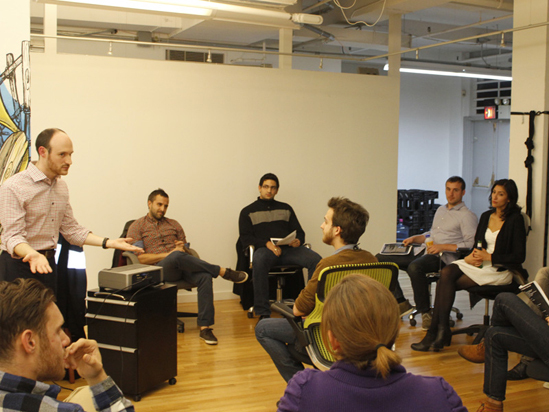 I’m co-teaching an Improv for Public Speaking next Wednesday in NYC. From the course description: The objective of this class is to use the rules, skills, and games of improvisational theater to become a more polished public speaker and business professional. Try out the Improv experience without committing to a full-time course, have fun, build business skills, and meet new people. Simple reason, really (aside from the obvious one). Through theater skills you learn real life skills. Because of theater, I came out of my shell, developed confidence (maybe a little too much at times – but I was 14, so gimme a break), and developed a love for a new art form. Through theater you improve your public speaking, thinking, and overall communication skills. You learn how to get in touch with your emotions and understand the emotions of others. You learn to react appropriately and quickly. And it’s fun. So just do it for that.